As we approach the second anniversary of this website, it seemed a good opportunity to look back over the almost 100 stories, poems and essays I’ve posted to bring you 10 of my favorites in no particular order. Two not-for-profits that focus on women are promoting fundraisers this week in Santa Fe that seem to be calling for ladies to come out in force. “Doing good” has always been associated with that look which is why Doris Duke, mysterious, unpredictable, may turn out to be an interesting subject for my next book. Already I gather that she “did good” without caring much about it or dreaming of wearing “do good” clothes. One, the ancient and reputable League of Women Voters is hosting a “hats and pearls” tea party. The other, the local branch of the National Museum of Women in the Arts (that big museum in Washington some of you may have visited) is holding a fashion weekend at the Millicent Rogers Museum in Taos, with a shopping spree included. I do have hats, and I do have pearls, though I wear the hats to keep my head warm (at least, that’s a part of it) and I only wear my pearls to bed, in memory of that scene in F. Scott Fitzgerald’s “Tender is the Night” when the narrator first glimpses Nickole on a Cote d’Azur beach with her pearls trailing down her bare suntanned back. As to hats and pearls—I didn’t feel drawn to either of these events, though I have great respect for the League’s work, especially before local elections when they run a scorecard on the candidates’ positions on crucial issues. I’m less enthusiastic about Women in the Arts, although admirably organized and supported, because without a clear definition of how—or whether—women artists produce work that is different from that produced by men artists, there seems to be a sort of vagueness that can countenance flower paintings and routine landscapes and still lifes. Yet I can understand why the organization’s leaders don’t want to tackle the thorny and perhaps unanswerable question of what it is that women artist do that marks us out from the men—a quandary made more difficult when some of the few women who succeed in that field refuse to be classed in exhibits with their sisters. But to get back to the question of ladies. Women are called “ladies” when it’s clear we are not going to cause trouble. I’m not much interested in that. “Trouble the Waters” is my favorite Sweet Honey In The Rock song, one I play when I’m downhearted, along with their “We Who Believe in Freedom”. And yet there is power even in conventionally defined femininity—or its gestures, such as clothes and jewels. When I was growing up, a woman known or notorious for her successful fundraising for the local orchestra always sallied out on these calls wearing a certain Scotch plaid suit. I thought there was something positively martial about her appearance; she certainly would never have shied away from wearing a hat and pearls if it would have helped her dig out more contributions. Here on the Duke University Campus, when I’m beginning research on the life of Doris Duke [see my post, The Uses of Scandal], none of the women are thinking about wearing pearls. It’s hot, even now in March, and they are wearing very little at all. The older women, like me, tend to look serviceable, gray, busily going about our work without much attention paid to how we look—and nobody looks at us, either. I keep coming back to this inconvenient question of plumage—appearances, worn for delight in the sheer costuming of life, for pleasure in color and texture. 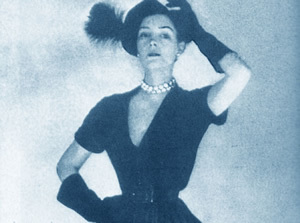 I grew up at a time when women were still tightly girdled, hemmed in by strict suits, stockings and high heels; but even then there were a few who broke the rules, if only in what they wore: Neela Magidoff, a White Russian escapee who threw veils around with her strange accent, Willie Snow Etheridge who was always dressed in swirling skirts, ready to dance whenever the record player was turned on—how lively they appeared compared to the fashion plate women of that time who wore a uniform as ubiquitous and as dreary as our slacks-and-shirts with-low-heeled shoes. She wasn’t much of a lady, which is one reason she interests me. A newspaper clipping even imagined her marrying Al Capone. View the original post for more comments. 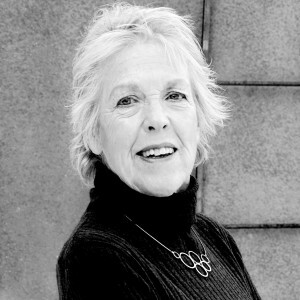 Sallie Bingham is a writer, teacher, feminist activist, and philanthropist. Sallie's most recent work is titled The Blue Box: Three Lives In Letters, published by Sarabande Books in 2014. Her forthcoming book, The Silver Swan: Searching for Doris Duke, will be published by Farrar, Straus and Giroux in May 2020. Sallie's complete biography is available here. You will receive emails at 10am MST (12pm EST) only on days Sallie writes a post. You'll also occationally receive updates of events in your area, or notifications of Sallie's upcoming book releases. More comments for this post can be found on Facebook. Host Abigail Adler and I discuss women, my family and growing up in the South on The Last Word, KSFR - Santa Fe Public Radio. My first reading from Doris Duke: The Invention of the New Woman. The reading took place on March 7, 2017 at St. John's College Santa Fe, New Mexico. Copyright © 2019 Sallie Bingham. All Rights Reserved.